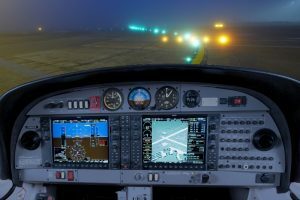 What can a pilot do with an instrument rating? Information on earning the instrument rating is here. With an instrument rating, you will have the freedom to fly in more places and in Instrument Meteorological Conditions (IMC). As the title implies, an instrument rating permits you to fly “by instruments,” i.e., without visual references to the ground, horizon, and other landmarks. You will be able to fly through clouds, rain, fog, etc., all of which restrict visibility. This skill is particularly useful when you fly long distances. It is frequently difficult to travel such distances without encountering weather systems requiring instrument pilot skills. Receive and log ground training from an authorized instructor or complete a home-study course, such as the Gleim Instrument Pilot Kit. Pass a knowledge test with a score of 70% or better. 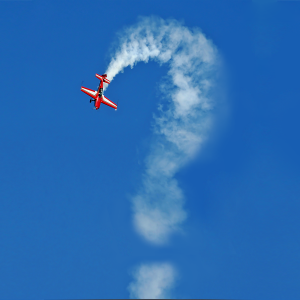 The instrument rating knowledge test consists of 60 multiple-choice questions selected from the airplane-related questions in the FAA’s instrument rating test bank. Accumulate appropriate flight experience (see 14 CFR 61.65). Receive flight instruction and demonstrate skill (see 14 CFR 61.65). Successfully complete a practical (flight) test, which will be given as a final exam by an FAA inspector or designated pilot examiner; it will be conducted as specified in the FAA’s Instrument Rating Practical Test Standards. Are you ready to earn your instrument rating? Get more information here.